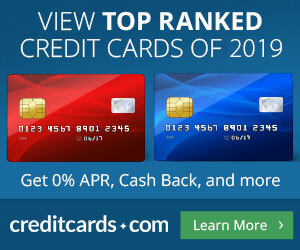 We bring you the new credit card offers with a free Southwest Companion Pass, introduce you to some great travel hacking tools, a guide to Investing in 2019, travel to see Lebanon Beauty, more Delta Award sales, cry over the sea of debt everywhere, wonder what is wrong with people moving back to Chernobyl, a dude who makes babies, go to Mars, go to the ISS, go to Yellowstone, go to Hong Kong, a very inspiring story of a former convict and his success and of course the one and only Blog Buzz section where we lay it all out. The Southwest Rapid Rewards Plus, Premier and Priority credit cards all have a new offer you may have heard. You only earn 30,000 Rapid Rewards points but, please sit down, you can get a Companion Pass until 12/31/19! Pretty attractive offer indeed…assuming you have someone to share your flights with! I also see a 60k offer for the Southwest Business Premier card. And yes they are available with my links! Choose wisely which blogger to support with your clicks, thank you! Must read post of the day for this miles & points hobby comes via Travel Summary: Tools of the Trade: Things that Will Help You Travel for Less. Great tools listed here and I use most of them! More on this post in the Blog Buzz section for advanced hobbyists at the bottom of this Buzz post as usual. More juicy Delta Skymiles award sales! The people who moved to Chernobyl. Very interesting post via BBC. And very sad too. What a weird story, for lack of a better word. A lesbian divorces and meets the father of her child and falls for him and he has more kids and get togethers. And he wears a Tshirt with “I make cute babies” in the front. Only in America! I met my boyfriend 12 years after giving birth to his child. Via BBC again. This sound…WOW! Mars Lander Captures Haunting Sound of Martian Winds. If I had a credit card conversion for every time I said how much I love the TwisterSifter site! Since we got into sounds and above I had two links from BBC back to back…why not bring you another link sound! #innovativeTBB! This is also really cool and a lot more pleasurable than that creepy Mars sound you guys! Yellowstone Sound Library. TBB is on fire today! This is a must click! Mesmerizing time-lapse footage of Earth as seen from the International Space Station. I said…MUST click! You are welcome. And turn up the sound and get high…this is not drug advice ok! Oh, and blow it up to take the whole screen of your monitor. Happy floating! A former convict tells his story on Twitter. I LOVE inspiring stories like this! Great personal finance read: 10 Things Investors Can Expect in 2019. 1. Your results in 2018 will impact how you feel about the markets in 2019. 4. There will be other people getting richer than you (or claiming to be getting richer than you). 5. Your asset allocation will likely have a bigger impact on your performance than your security selection. 7. Expect plenty of I told you so’s. 8. There will be a stock, fund, strategy, or asset class that skyrockets that you wish you owned more of. 9. You won’t be able to distinguish between luck and skill in anyone’s investment results. 10. Diversification will make you feel silly. Lebanon looks amazing! 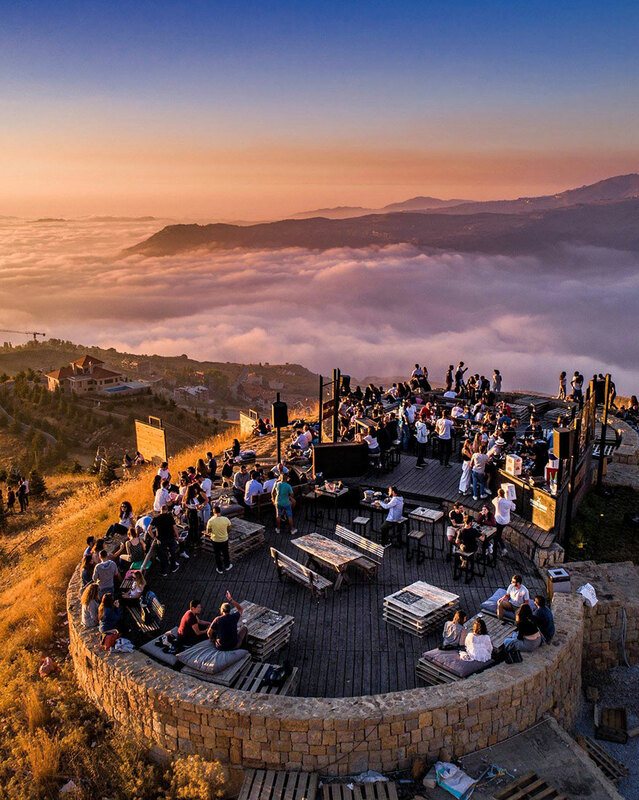 Overshadowed By The Syrian War, Lebanon’s Beauty Is Revealed In 50 Breathtaking Photos. 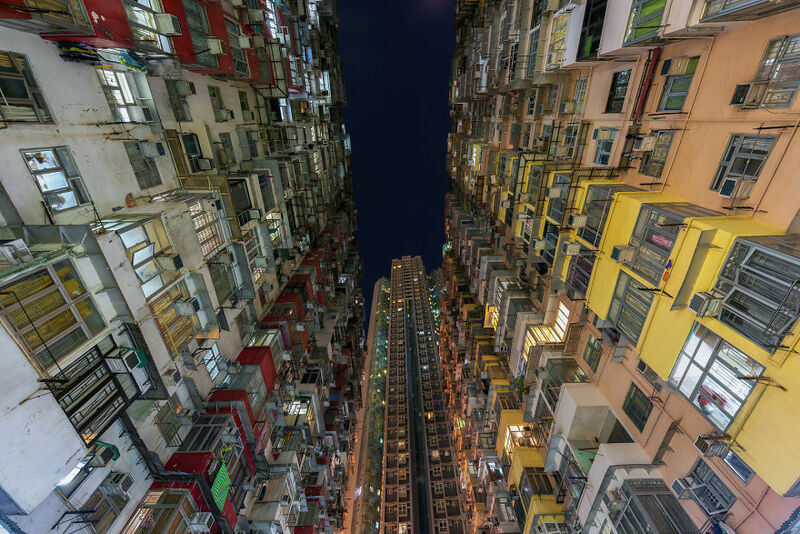 And lets go to the capital of urban density Hong Kong! My Photo Series That Shows The True Side Of Living In Hong Kong. Amazing visualization about debt. Visualizing the Snowball of Government Debt. Yeah, ten years of implosion in Greece and still at…182%, sad! We now enter the infamous Blog Buzz section which is suited to more advanced hobbyists, you have been warned. Mile Nerd continues his final posts. He recently posted a “Thank You Note“. Oh yeah—->The “growth” of technology has totally changed the way people communicate. And Travel Summary gets a nice plug too. And yes guys you two should meet. Many things MN states about connecting online are so true. And he doesn’t even have a comment section! Before you get scared, I have no intentions to trash my comment section of my blog, no way! But it is amazing how people can feel like they know someone they read about for years and never actually met. One of the most wonderful things about blogging is really connecting with readers in person. Really! And thank you for enriching my life and I hope I enrich yours. By never wavering from the blog mission to Educate. Entertain. Inspire! All blogs evolve. As life evolves. Same thing. And looks like Mile Nerd will evolve to…Nerdville. Milenomics with a great post with advice no credit card selling blogger dares to do! Why You Should [Almost] Never Apply For an Amex Card Using Someone Else’s Link. Imagine if the other banks did that too. And imagine the same pimping bloggers will continue to screw their readers by keeping them in the dark by pumping the crappy affiliate offer. I learned something new in this post. I did not realize that the Amex Hilton Business credit card can have the best referral offers. So, let me refer you to Amex cards please! The Lazy Traveler with yet another great list of bargain Marriott awards! My Curated List of the Best Cheap Categories Marriott Hotels in Asia. Just remember, nearly everyone is trying to sell you something. If you either don’t care or want to give a commission to that person/website, go right ahead and click on their links. Otherwise, remember that pretty much every website and entity I mentioned above is there to make money off of your clicks. That’s why it’s best to go to the source. Alas, even Flyertalk replaces links with their own affiliate links now (just like slickdeals and other deal sites). Why is all this worth mentioning? Because usually if they’re getting a commission, you’re losing out on something. Not always – there really are some good, honest bloggers out there. But usually you’re losing. Always go to a website like Cashback Monitor before buying something. You’ll be surprised to find all kinds of travel websites appear, where you’ll be able to earn cash back or extra points for flights or hotels. Even Cashback Monitor has affiliate/referral links, so be mindful. But again, affiliate links are not always bad in my opinion. As long as you’re informed, you’re good to go. And I leave you with this…Help me! Passing? As in passing the links here today I hope. And not due to someone passing! I hope the CNB card gets here today! No love from AA for me on them elite grants for free…None. Where’s the best post detailing how to squeeze the most out of the CNB card? Deltapoints? If you think that’s bad – I applied for the Barclay Arrival Plus on Nov 30th. I’m still waiting. I had my reports frozen and they needed a bunch of information including all of the contents of my prison wallet. Nov 30??? That is just insane. Hello today from South Texas! Is this a Silver or a Bronze? I think silver, but will leave it to TBB to decide! Well, I knew it that this guy will do a post about this as soon as I saw this elsewhere! TPG has turned into an exclusive Chase pump blog now wow! Why do bloggers do selfies when such selfies can scare people? #philosophical? See Emily with dogs holding plastic. See Emily in a bikini. Thank you. I am aware of both sites and they just don’t do it for me. Maybe they work for some other readers. I find them an invaluable resource for putting together multiple countries. Thank you milenerd for everything. Big loss in the hobby.